When you enter the Main Street in Motion event, you walk down a main street with cars parked along the sides and facades for the different manufacturers. Behind each facade is a tent with a showroom with one of each vehicle and information about each one. Out beyond the showrooms, the parking lot is separated in different sections based on whether the vehicle is a Chevy, GMC or Buick and the type of vehicle. The people manning the different tracks travel with the event and are all knowledgable about the vehicles, but they are not salespeople. The event allows people to test drive the vehicles without any pressure to buy. Although the tracks are fairly short, they give a good feel for how the different cars accelerate and handle. It was an interesting experience trying all the different cars and trucks. I drove a GMC truck for the first time, tried out the Chevy Volt and Cruize, but my favorite had to be the Chevy performance vehicles – the Camaro and Corvette. The biggest surprise to me was the Buicks. Having grown up with my mother driving a Buick back in the 80’s, they had a very staid, old feel to me in general, but getting behind the wheel was a world of difference. I was informed that many people who came to the event felt that way about Buick, and that opinions were up 150% by people who attended the events and test drove Buicks. Chevrolet made the event a very family friendly place, with a lounge with XBox360 and Playstation 3 video games, car seats available at all the tracks, and a clown doing balloon animals. This attention to children impressed me, since this was an event about testing out vehicles and they went out of their way to make it a very family friendly event, even though there were only a few children at the event early Friday afternoon. The Citi Field Main Street in Motion event was the eleventh city in a twenty-four city tour, and the first stop on the east coast. I highly recommend going out to it and driving some of the 130 vehicles from 70 different brands to see all the new cars and trucks and see how they compare without any sales pressure. 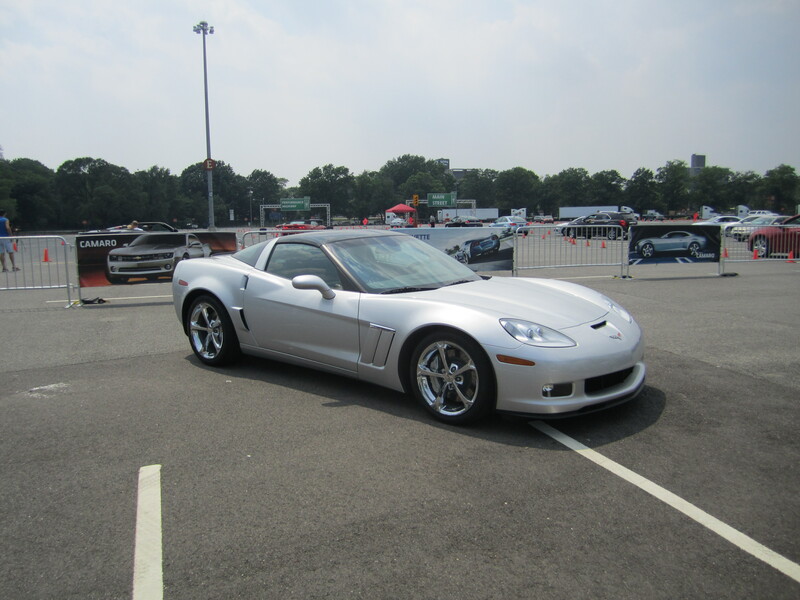 Of course, after leaving the event, I wanted to go out and get a Camaro to continue cruising the streets of New York.